Bob Dylan Agrees To Accept His Nobel Prize During A Tour Stop In Stockholm : The Two-Way Since the American musician won the Nobel Prize in literature last year, he has not yet picked up his award in person or delivered the customary lecture required for him to receive the prize money. Bob Dylan will be accepting his Nobel Prize in literature this weekend, according to the permanent secretary of the Swedish Academy. In a blog post Tuesday, Sara Danius announced the "good news" that members of the academy will be meeting with Dylan when he makes a tour stop in Stockholm. "The Swedish Academy is very much looking forward to the weekend and will show up at one of the performances" Dylan is delivering on Saturday and Sunday, Danius writes. "The Academy will then hand over Dylan's Nobel diploma and the Nobel medal, and congratulate him on the Nobel Prize in Literature." She adds: "The setting will be small and intimate, and no media will be present; only Bob Dylan and members of the Academy will attend, all according to Dylan's wishes." 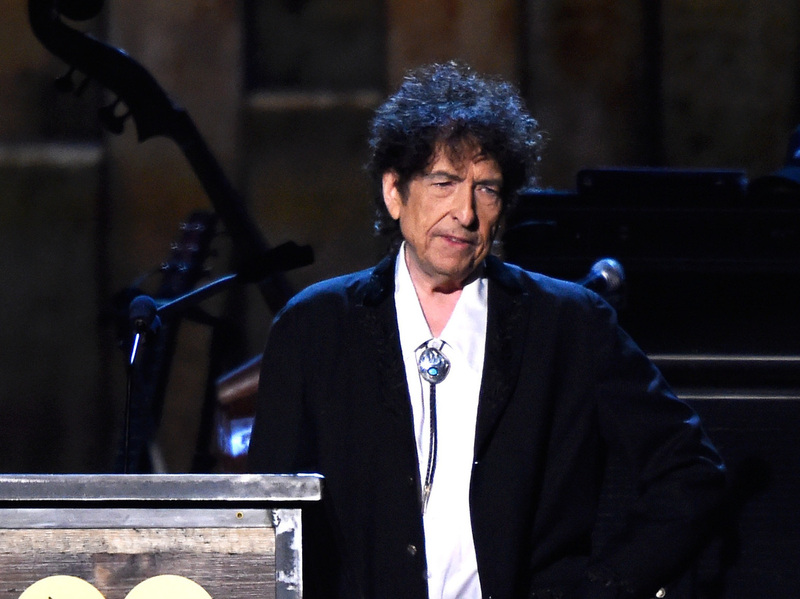 In a previous post, Danius was careful to note that the tour date in Stockholm had been planned well before Dylan won the prize, which he was awarded in October "for having created new poetic expressions within the great American song tradition," according to the Swedish Academy's citation. "He is a great poet in the English-speaking tradition, and he is a wonderful sampler — a very original sampler," Danius said at the time, explaining the decision to award a musician a prize that for more than a century has principally been doled out to novelists, poets and essayists. Yet the unusual decision was just the first installment of what came to be an unusual saga — as Dylan first waited more than two weeks to acknowledge the award, then begged off attending the December ceremony where it was to be doled out. Dylan sent a personal letter to the academy saying he could not make it to Stockholm then due to "pre-existing commitments." Instead, Patti Smith spelled Dylan for a moving rendition of his classic, "A Hard Rain's Gonna Fall." It remains unclear whether this weekend's meeting portends warmer embrace of the prize from Dylan, who has yet to fulfill his one requirement to receive the roughly $900,000 that comes with it: delivery of the Nobel lecture, a traditional talk on a topic of the laureate's choosing. "Please note that no Nobel Lecture will be held. The Academy has reason to believe that a taped version will be sent at a later point," Danius says in her post, noting that if he sends a taped lecture, he will not be the first. "If someone had ever told me that I had the slightest chance of winning the Nobel prize," Dylan wrote, "I would have to think that I'd have about the same odds as standing on the moon."